This last month I have heard of 3 runners getting 'moon-boots' for their training efforts and I don't mean the fancy Tecnica ones from the early 70's. As a child I must've fallen out of a thousand trees and not broken a thing, so you have to wonder as to what force is applied to our bodies when running that would split bone in two? I run with pretty constant pain in my Achillies and know of plenty that suffer the same if not worse. Most runs one of us will ask 'how are the niggles today?'. It seems where ever you look, whom ever you talk to, running is a painful and dangerous sport. 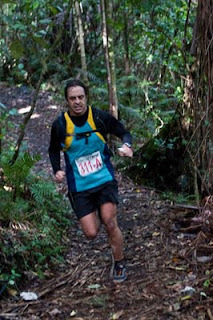 A fall a couple of weekends ago saw a mate badly roll his ankle on the same stretch of trail that a year earlier had a fellow club runner on her face with nasty grazes to more then 1 part of her body. If the pain of injury isn't enough how hard is it to train hour after hour, week in week out? To run a meager 160km I put in a little less then 2 hours a day. And it hurts. It pretty much always hurts. I train in the rain, I run when it's cold, I run when I'm tired, when I'm short on time, when all my mates are into their 5th beer, I run. For what? The accolades? The money? The women? No, running gives you none of these. No one knows who I am and nor will they ever know regardless of how good I ever get. I'll never get rich, in fact, I'd have to be one of the best runners in the country to generate enough race winnings to cover my shoe costs. To my knowledge there isn't a single person in this country that can say they are a true 'professional' runner drawing 100% of their earnings directly from the sport. I doubt there are many in the world that do. The most obvious reason for training is so you can race well. But what is racing but 'suffering at speed'? When I was a chubby little IT worker I did brief forays into the sport and got sufficiently slammed by every event to realize I should've done much more training beforehand. I can safely say now I have done more training but what difference will it make? I'll stop the clock a little earlier then last time but I don't doubt it will hurt just as much. An unfit person running a 50 minute 10km at maximum effort feels the same pain as I do after covering the same distance in 32 minutes. Perhaps the only differences are I hurt for less time though years of training have taught me to hurt in a much more advanced way over the same distance. So why do I do it? 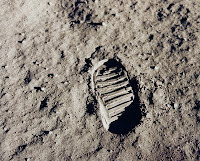 You could argue about all the tiny and near insignificant reasons for running like weight control, stress relief and general wellbeing but at this level and with the deadly 'moon-boot' pandemic you could just as easily argue that the health risks far outweigh the benefits. Perhaps you can argue that you run to be faster. Just maybe I'll buy that, but I wont pay much. I used to run 10km in 40 minutes, I can now do it in a tad over 32 (wohoo! /sarcasm). So there's 8 minutes right there. 8 minutes more I can add on to the end of my life. If we apply this in a 'Sliding Doors' universe then an alternate Kerry will gasp his final breaths and fade into his hospital bed a full 8 minutes before I do. Take that fat Kerry! But then I've trained 50-bajillion hours to get that 8 minutes. 50-bajillion hours I could've spent knee deep in a bowl of chocolate ice-cream. What a stupid, stupid sport running is. And yet, I will continue to do it until my body tells me I can't anymore. Without reason and beyond comprehension, I run.